PHNOM PENH, 14 March 2014 (IRIN) - Governments in Southeast Asia need to do more to combat the deadly H5N1 avian flu virus, say health officials. His comments follow confirmation of Cambodia’s seventh and eighth new cases of H5N1 influenza in 2014. The virus normally spreads between sick poultry, but can sometimes move from poultry to humans. So far it has not moved from humans to humans, but experts say the risk is there. Of the eight H5N1 cases reported in Cambodia 2014, three have died, all of them children. Since 2005, the country has reported 55 cases (44 of them children under 14) and 34 deaths. Twenty-seven children have died of the disease. For Laurent, saving one child is excellent news, as the virus has a mortality rate of about 60 percent, according to the Centres for Disease Control and Prevention (CDC). Between 2003 and 2012 Cambodia reported only 21 cases, but in 2013 that figure jumped to 26, including 14 deaths, overtaking Indonesia as the country with highest number of H5N1 cases and deaths. Indonesia reported 195 cases and 163 deaths between 2003 and January 2014, WHO reported. In 2006, 55 cases were reported, while in 2013 that number was down to three - a decline now being investigated, by experts. “It's been around for 11 years and we haven't had any human-to-human transmission, and there is no pandemic. But there is no way to predict the future, because viruses can change very quickly. It can change in another 10 years, or in a day,” Philippe Buchy, a renowned virologist at the Institut Pasteur du Cambodge, which inaugurated a regional research platform for emerging diseases on 12 March, explained. There are two scenarios for human-to-human transmission, he says. Either the H5N1 virus, which affects poultry and birds, mutates to allow for human-to-human transmission, or a human carrying another (easily transmittable) influenza strain, becomes infected with H5N1 at the same time, creating a new strain that could be transmitted from human to human. “There is no way to predict, but the more outbreaks we see, the more likely [it is] that this will happen,” he warned. In case of a pandemic, vaccines could be developed. “But we don't know what this virus will look like yet, so once it emerges, we need to start working on a vaccine,” he added. "If more and more cases are happening - and we have already had eight just this year alone - it could have an impact on the region and possibly the whole world… More cases mean the chances for it [a pandemic] are higher,” Sin Somuny, head of Medicam, an umbrella group of health NGOs working in Cambodia, agreed. Meanwhile, new bird flu strains which can also infect humans through exposure to poultry - including H10N8 and N7N9 - are a concern in the region. Both strains have pandemic potential. In February, Chinese scientists reported in the Lancet that samples of the H10N8 virus from an elderly woman who died in December revealed it to be a new genetic reassortment of other strains of bird flu viruses, including one called H9N2, common in live bird markets in China. Although Chinese authorities are working hard to contain the spread of both of these viruses, more than 100 people have died of the H7N9 virus since it was first reported a year ago, while at least three people have died of H10N8. 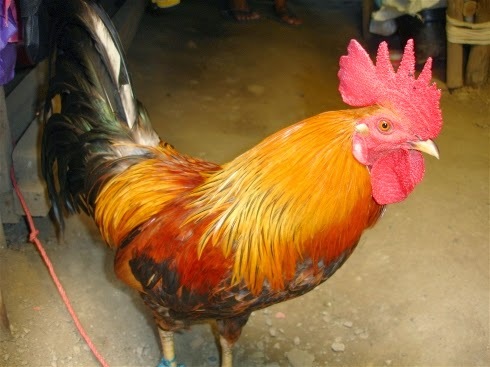 According to CDC, the first H7N9 case outside China was reported in Malaysia on 12 February 2014. It involved a traveller from an H7N9-affected area of China.